Food will always be central in the bantering by this motley crew, although you can be assured of off-the-wall discussions (arguments). Beneath all the bickering is humor, off-color comments and occasional truths to be learned. Nothing, I mean nothing, is sacred, no holds barred with this group. 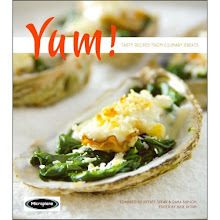 Read the full story at Dara Cooks at Baltimore Post Examiner.